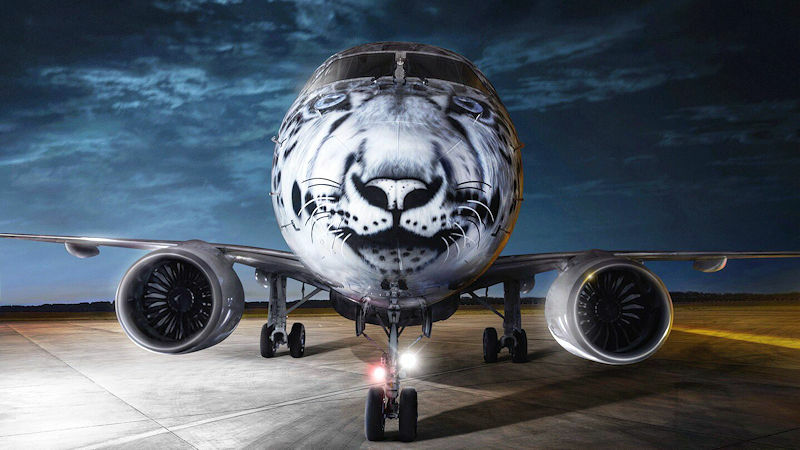 In an occasional series on unusual airline liveries, today we feature Kazakhstani airline Air Astana’s new Embraer E190-E2 ‘Snow Leopard’. The newly delivered E2 is one of five the Almaty-based airline has on order from aircraft lessor AerCap. The airline’s chief executive Peter Foster said at the time of the order that “the acquisition of the E2 is the logical replacement of the E190 which we have been successfully operating since 2011. Air Astana has a fleet of 34 aircraft, including nine Embraer E190s plus the brand new Snow Leopard E190-E2. It has a mostly Airbus fleet for short haul, plus some Boeing 767s for longer routes.